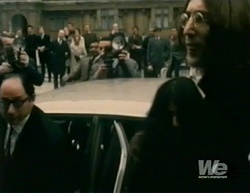 Notes: John & Yoko are seen arriving back at a London courthouse to hear the charges laid against them for drug possession. 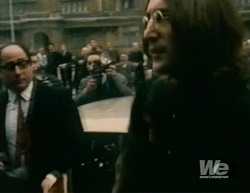 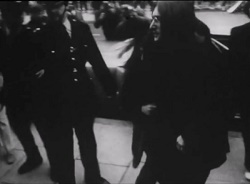 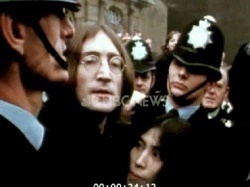 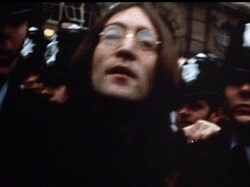 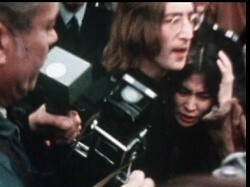 Colour footage of their arrival was shown on the BBC News that night. 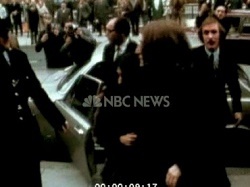 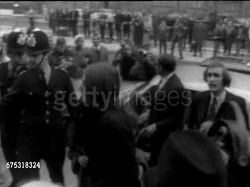 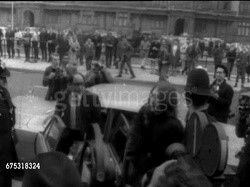 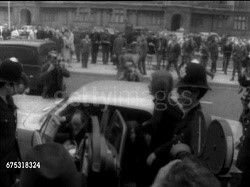 Notes: Reuters also shot some black and white film for their newsreels of John & Yoko arriving and leaving the London courthouse. 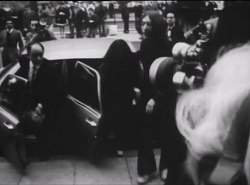 Notes: ITN were also there and filmed some black and white footage for that nights news of John & Yoko arriving and leaving the London courthouse. 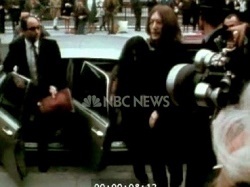 Notes: Colour footage from ABC News of John & Yoko arriving and leaving a London courthouse with a reporter doing some interesting live commentary.